If a fish has some problems with parasites it comes to a cleaner station in the reef. 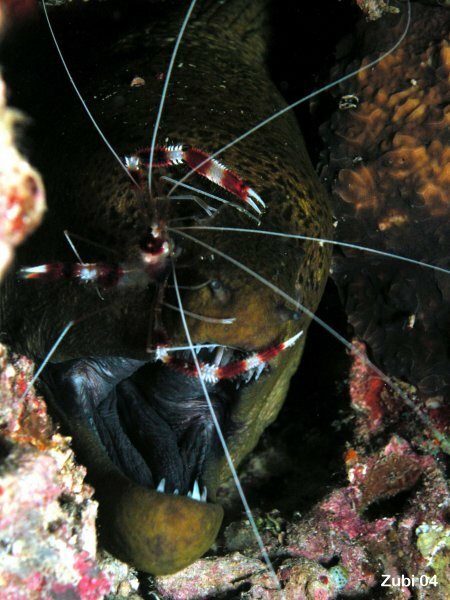 There are some fish (cleaner wrasse) and several types of cleaner shrimps that will jump on the fish in large numbers and even go inside the mouth (and then to the gill cavity) without being eaten. 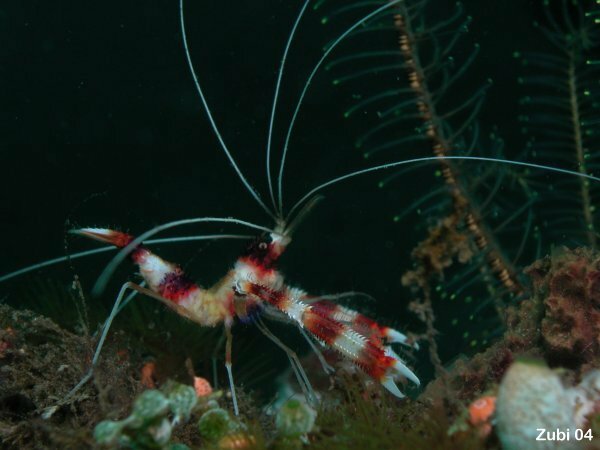 Most cleaner shrimps are brightly colored in red and white. This cleaner shrimp has very strong claws and can cut a parasite out of the skin of any fish. Here on a morey eel.